We cordially invite you to come and join the ZINC Events. The main drive behind the ZINC – We are not another conference! continues. The ZINC events have started as a desire to create events that are extending the borders to bring the spirit of big CE conferences and events. In 2018. is our third anniversary. First two years we have focused on successful individuals from the region. This year we are focusing on the world leaders. The events will provide symposiums, forums, seminars, talks, workshops, tutorials, product and prototype demonstration, for researchers and engineers from academia and industry to exchange experience and results on their recent work. This includes but is not limited to all academy and industry members active in the fields of electronics, software engineering, hardware design, consumer applications and devices, new services and platforms, communications and connectivity as well as various enabling technologies and interdisciplinary forms of research with consumer benefit. 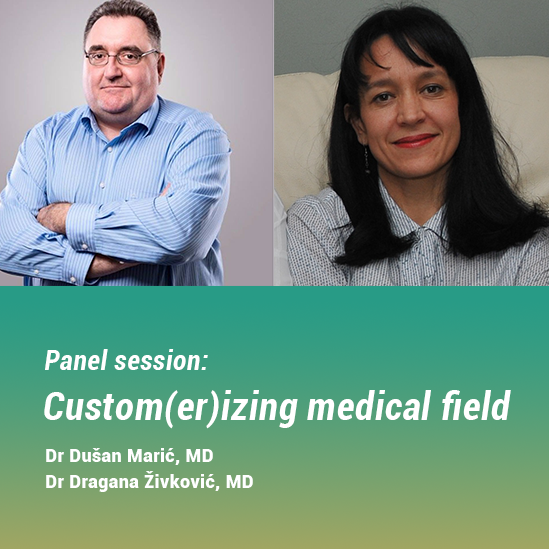 The ZINC events include the Zooming Innovation in Consumer Electronics International Conference 2018 (ZINC 2018), which is sponsored by IEEE Serbia and Montenegro section and CE chapter and RT-RK Institute and RT-RK department at University of Novi Sad. The events will be hosted by RT-RK Institute for Computer Based Systems Novi Sad, R&D company and national research institute, with strong ties to the University of Novi Sad. 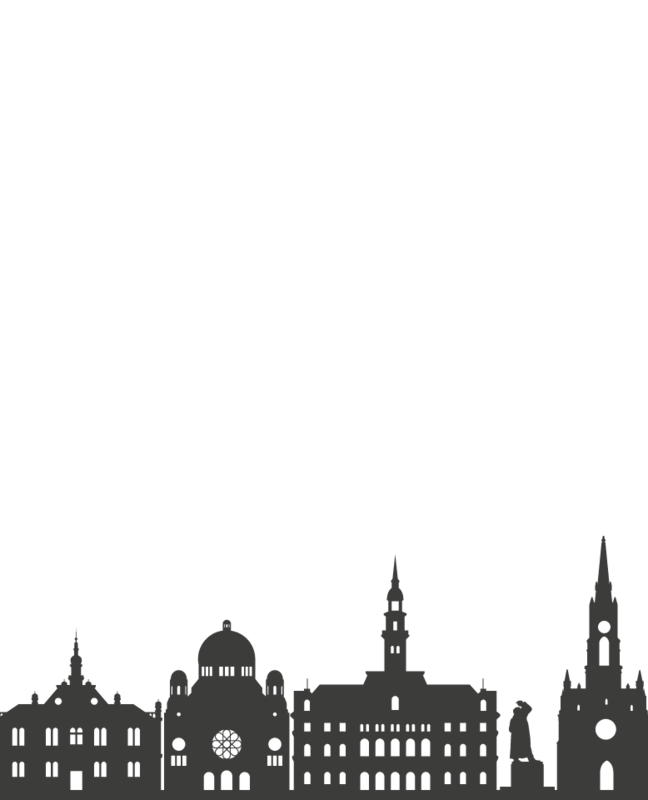 The host town Novi Sad is a regional center of youth and education, also known as Serbian Athens due to its rich cultural heritage and influence. 1. Lightning talks -a short description or 5 slides long ppt file. 2. Papers - submit either a 2 or 4 page paper. All papers must comply with IEEE format specifications, and have signed the IEEE copyright form to be submited to IEEE Xplore database. 3. Keynote - submit your biography and content with short description. 4. Tutorial - submit your biography and content with short description. 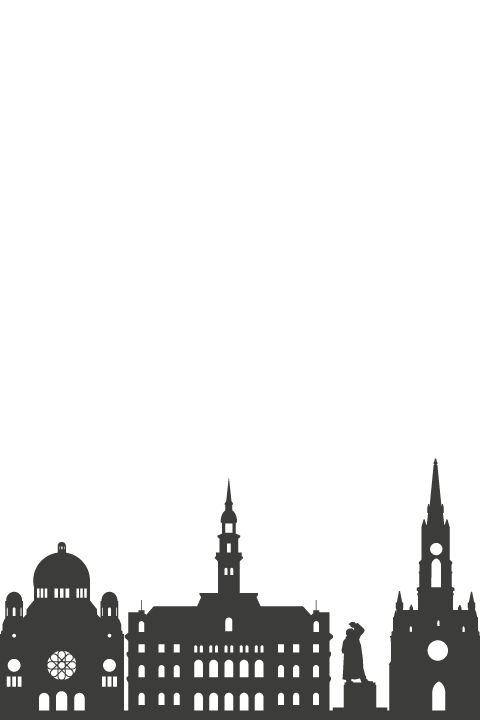 ZINC venue: Rectorate of the University of Novi Sad, Dr Zorana Djindjica 1. Only electronic submissions via the web will be accepted. Papers and presentations presenting devices which are to be used or leased by consumers. Devices shall have a clear consumer use case in mind (to the likes of smart phone, TV, STB, radio, home automation equipment etc). Papers and presentation presenting software stacks, software architectures and software implementation solutions which are used or could be used in consumer devices. Papers and presentations presenting hardware architectures which are applicable in devices serving consumers. Papers and presentations presenting solutions which are specific to current problems in Internet of Things. Papers and presentations presenting solutions which are used in contexts of virtual and augmented reality. Papers and presentations covering use cases and solutions for smart environments, including smart spaces, smart homes and smart cities. Papers and presentations covering HW and SW solutions and applications for consumer healthcare. Papers and presentation presenting software stacks, software architectures and software implementation solutions which are used or could be used in cars. Papers and presentations dealing with specific aspects on how to improve user experience and human-device interaction. Papers and presentations covering aspects of image processing, video processing, including algorithms and systems which help visual information be acquired, processed, transmitted and presented. Papers and presentations presenting solutions which are specific to protocols, implementations and use cases of various communication technologies connecting consumer devices or participating in use cases serving consumers. Papers and presentations on artificial intelligence solutions, helped by big data mining technologies, which help develop new intelligent use cases for consumers. Papers and presentations presenting broad topics on how we can engineer software better: practices, stacks, methods. Papers and presentations presenting broad topics on how we can engineer computer-based systems better: practices, stacks, methods. Papers and presentations covering broad areas of hardware and software solutions for sensing and MEMS technologies. Papers and presentations covering aspects of energy management in consumer devices. Papers and presentations covering security and privacy aspects and giving solutions to improve these aspects in consumer technologies. Papers and presentations presenting a technology which can be utilized in the consumer context, therefore being an enabler. Papers and presentations addressing topics on how consumer technologies impact societies, and solution proposals in that regard. Papers and presentations covering practices of development, project management and organizational aspects when designing and deploying consumer technology. Papers and presentations covering insights into how branding and marketing affect consumer technology designs and development. Q: How do I know that my submission is with the scope of the ZINC? A: If you can write a paragraph with a consumer in mind – then yes, by all means, you are at the right place! The ‘Industrial Categories’ is meant for papers that are submitted by non-academic, such as for example, but not limited to engineers working in industry. These papers focus more on practical oriented contents such as implementation of related topics. Papers for the Industrial Tracks will be reviewed by qualified industry reviewers for industry relevancy for its content. Authors of these papers may retain their copyrights. To support the experience sharing and to popularize the applied sciences, we are introducing lightning talks – 5 to 10 minutes presentations of best practices, techniques, ideas, and tricks. For lightning talks no associated academic paper is required. Extended version of selected papers will be considered for publication in two special issues entitled Intelligent Consumer Robotics for the Journal of Intelligent & Robotic Systems and Artificial Intelligence Applications for Consumer Electronics for Soft Computing journal. Often we have a feeling that our research is not matured enough to submit the results at the conference. This is in particular true for students. Rather, we keep postponing to publish, thus missing the opportunities to get a valuable feedback through every stage of our work. In addition, there are ideas that would rocket if authors have brainstormed them with peers. The ZINC Team wants to be true to the name - Zooming Innovation in Consumer Technologies, and to encourage all to share the initial research and in the between stages. In that name we are introducing the Research in Progress in all tracks. Submit half to three pages of your concepts and preliminary results by March 30. Insert a tag in title - research in progress - and learn what community thinks or advices for your ideas, concepts, or preliminary results. With the feedback you will get the opportunity to submit the final writings closer to the conference dates and to decide where and how to publish. Expansion of technology is based on visions and funding. Many funding institutions support development of the cutting edge technologies. We invite you to present your projects at ZINC. Send us short description of your project by March 30. 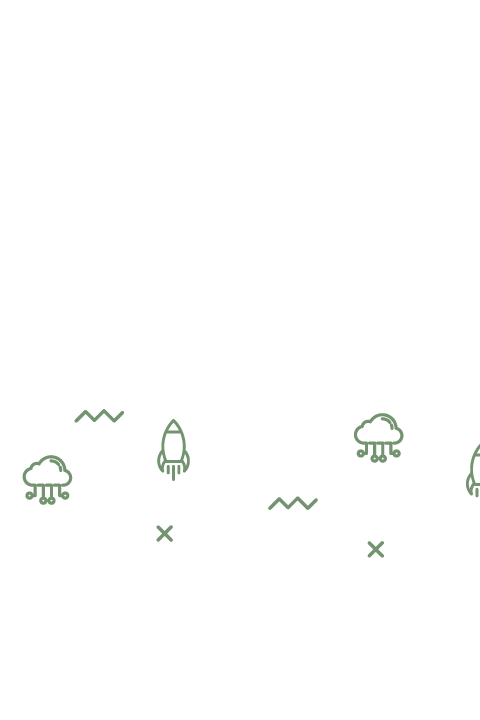 HACKATHON: Let the intelligence fly! 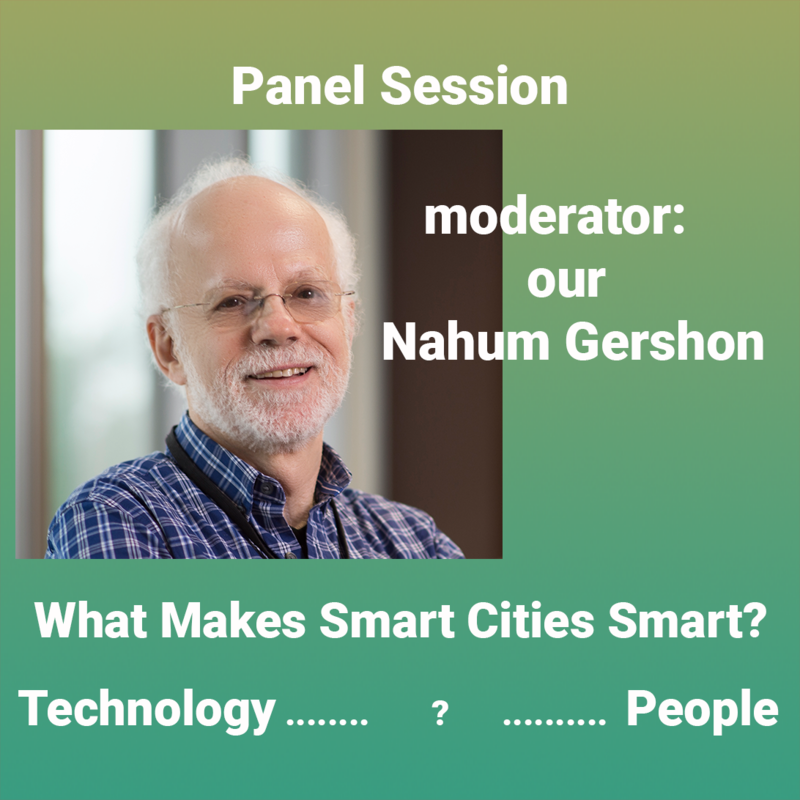 What Makes Smart Cities Smart? Become a partner. There are plenty of opportunities for sponsorship, including several exclusive packages. In addition, if you would like to customize your partnership with ZINC, contact us. We are open and flexible, just as the spirit that we want to invoke. Copyright © 2018 RT-RK Institute for Computer Based Systems. All Rights Reserved. Have you ever found yourself in a situation when your usual communication skills weren’t effective? Do you have any ’type’ of people you find hard to communicate with? Main goal of this lecture is to provide information about what to do when you find yourself in a previously mentioned situation. Both science and practice have shown us the importance of developing flexible approach toward communication which understands recognition and adaptability do differences. You will also have the opportunity to find out which type of communication style you prefer the most and the suggestions for improvement of your communication. 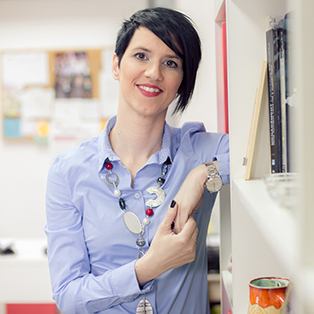 Dragana Okanovic holds master degree in Psychology and currently is working on her PhD thesis in Organisational Psychology. She is one of the founders of TIM Centar. The main fields of expertise are Human Resources, specifically training and development of people. She has more than 12 years of experience in trainings on the following topics: communication, assertiveness, motivation, time management, train the trainers, organisational culture, organisational creativity. While current automated driving systems are already highly complex, the next generation will have to go far beyond this to provide interesting and useful features to consumers. Systems capable of autonomous driving need to solve several major challenges to ensure both safety and availability of their functions. This problem needs to be carefully addressed in the system architecture, before self-driving cars can finally be ready for mass adoption. Moritz Antlanger received a PhD in Physics from the Vienna University of Technology and the Université Paris-Saclay in 2015, specializing in computational physics. He joined TTTech Automotive in 2016 as a Project Engineer in the “Advanced Projects and Technology” team and moved to the “Product Management and Systems Architecture” team in 2018, where he is working on concepts for fail-operational system architectures. 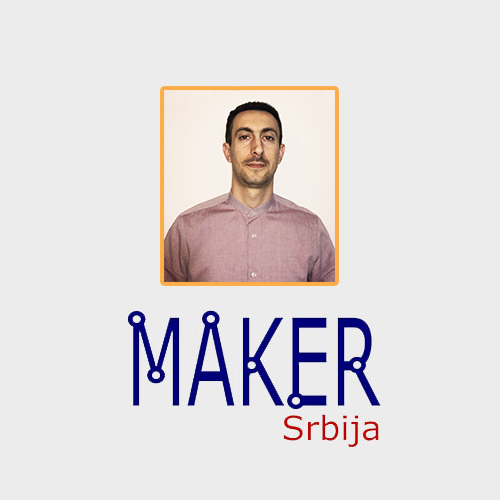 Makers with a leadership by the white hacker (Freelance Ethical Hacker), Ivan Marković, and the “Shadowman” Nenad Četić, will guide you through this process and no prior experience is necessary. All you need is a good will (and a laptop with installed Java environment and Mozilla Firefox browser). This is a starter course for those jumping into the world of web application security. The OWASP Zed Attack Proxy (ZAP) is the product of an open source OWASP community project and it is used by everyone from those starting out in security, to QA testers, and to professional penetration testers alike. In this workshop, you will start by learning the tool interface and understanding how ZAP works with the browser. Next, you will discover how to prepare your environment, and finally, how to identify and take advantage of vulnerabilities in the demo application. – Discussion with participants: a dialogue on the issues initiated in the introduction and presentation of the speaker’s questions open to the audience. parenthood, poetry and net literature, visual and digital art, women empowerment. 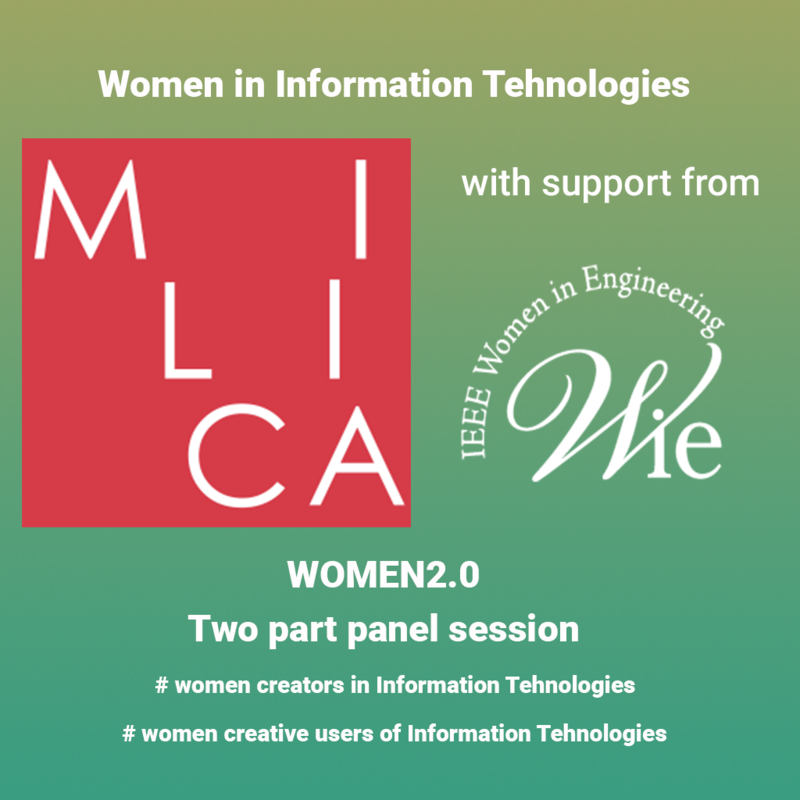 MILICA magazine with support of the IEEE Women in Engineering, host two-session panels about interactions and mutual influences between women and information technologies in contemporary society, strongly focusing on the Balkans and Europe. The position of women and the question of gender equality are one of the leading topics in media throughout the world. The breakthrough of women in all spheres of the society is actually happening. The panel is examining the place women hold in IT. In what manner are women appearing as IT users? How do women contribute to the progress of the industry? Those will be the main directions to analyze with guests lecturers who will speak about their experiences in their professional careers in IT. We would especially like to point out the creative use of IT in parenthood, art and women empowerment. U.S. Department of Energy(DoE) and IBM signed contracts valued at $325 million in 2014 to develop and deliver the world’s most advanced data centric supercomputing systems at Lawrence Livermore and Oak Ridge National Laboratories to advance innovation and discovery in science, engineering and national security. The U.S. Department of Energy’s program is named as Collaboration of Oak Ridge, Argonne, and Lawrence Livermore, or CORAL program. The DoE CORAL’s goal is to create the world’s fastest supercomputer at 200 Petaflops, offering 5 to 10-times better performance than the current systems at the labs, while being five times more energy efficient and using just one quarter of the nodes. These supercomputers will have the ability to do two billion calculations, one million times, every second; an enormous amount of computing power directed at solving the world’s most complex problems, like questions concerning who we are, our place on earth, and in our universe. This talk will introduce the CORAL program, its objectives and outcomes to the audience. Recognizing that the traditional computing architectures could not effectively support such high compute requirements, IBM has been working with partners like NVIDIA and Mellanox, to define new architectures in compute, networking, storage, etc. The CORAL supercomputers incorporate new foundational capabilities, massive bandwidth, a capacity to ingest and analyze very large data sets, and the ability to orchestrate any number or combination of accelerators. Participants of this talk will come to know about these new architectures being introduced in CORAL supercomputers that are expected to deliver in excess of 200 petaflops of performance. In order to push the frontiers of scientific computing, modeling and simulation, these U.S. DoE CORAL supercomputers are built ground up for advanced workloads with brand new core, internal busses, external interfaces and acceleration capabilities. Breakthrough architecture using advances in silicon, hardware and software are discussed in this lecture. Audience will learn about IBM POWER9 core, NVIDIA Tesla GPU, NVLink 2.0, PCIExpress 4.0, Mellanox interconnect, OpenCAPI 3.0 interface, off-chip coherent FPGA, on-chip accelerators as well as an open ecosystem that allows deep innovations by partners at all levels of the ecosystem, resulting in a complete infrastructure incorporating optimized hardware and software enhanced by the latest open-source innovations. In conclusion, the audience attending this talk will learn about the CORAL project and inside details of the new supercomputers that are posed to put U.S. at the forefront of supercomputing. The talk will cover the new off-chip era, with advanced accelerators like GPUs and FPGAs driving modern workloads, including AI. Additionally, the talk will introduce the OpenPOWER Foundation (openpowerfoundation.org) that is a consortium of research institutes, semiconductor companies and academic institutes. These partners collaborate on technologies and innovations for research and business needs of futuristic POWER processor based supercomputers, hyperscale data centers and cloud computing platforms. Well known OpenPOWER participants, out of over 250+ members, include IBM, Google, Tyan, NVIDIA, Mellanox, Samsung, Xilinx, etc. Some of the participating research institutes are Jülich Research Centre, Oregon State University, Lawrence Livermore National Laboratory, Sandia National Laboratories, Tsinghua University, etc. including IISc and IIT’s from India. Finally, this keynote will introduce the audience to open cloud-based platforms, like OpenPOWER Research Facility (OPRF, IIT Bombay) and SuperVessel, to develop GPU optimized POWER applications for academic as well as commercial purposes. Conference participants, corporate executives, researchers and students will be extremely benefitted by this learning that is of immediate use for developing high-performance applications around AI, ML, DL, cognitive, etc. Dr. Syed Saif Abrar is a researcher, developer and technical-lead of the IBM Systems simulation team. He earned his PhD from the Technical University of Tallinn (Estonia), after completing bachelors and masters from Aligarh Muslim University and IIT-Delhi, respectively. In his close to 2 decades of industry experience, he has contributed to the simulation of computing systems ranging from tiny microcontrollers to high-performance architectures and supercomputers. His knowledge about the U.S. DoE CORAL project, simulation expertise and team leadership played a significant role in the successful simulation of the CORAL system. His research interests include advanced computer architectures, system-level modeling and simulation, performance analysis, with a keen interest in upcoming disruptive technologies. In addition to corporate responsibilities, he is actively involved with academics institutes. He has driven many industry-academic projects and actively shares his experiences and knowledge with the faculty and students. Dr. Abrar has delivered keynotes and lectures in numerous international conferences, drives the IP activities in his organization and evangelises AI-capable application development. Abstract for the key note presentation: A very efficient digital audio compression method has been developed by Fraunhofen Institute for a worldwide direct satellite radio system called WorldSpace. After the market failure the developed engine, named MP3, triggered a success on Internet music services like iTune. This story from disaster up to success, sometimes typical for consumer electronics field, is the subject of this keynote. 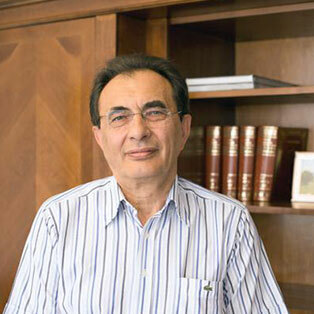 Miodrag Temerinac received the Ph.D. degree in electrical and computer engineering from University of Belgrade, Serbia, in 1983. 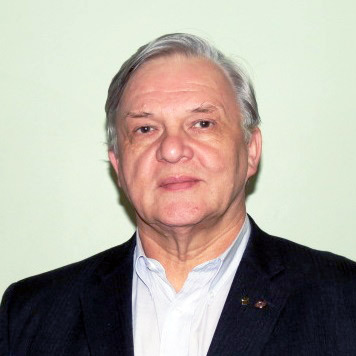 From 1976 – 1992 he was with the Faculty of technical sciences of the University of Novi Sad, Serbia, as the full professor heading the chair of communications and as the vice faculty dean for research. He is Alexander-von Humboldt fellow (1988-1990) doing research in fields of audio and video compression at the University of Hannover in Germany. In 1992 he moved to industry joining the semiconductor company Micronas GmbH in Freiburg, Germany, where he worked on the IC development for consumer electronics and later as the manager for R&D external relations. In 2005-2006 he founded Micronas R&D Center in Shanghai. Also, he founded and headed the Micronas development center for TV software in Novi Sad from 2001 to 2009. In last years he is again with the University of Novi Sad heading the Group for computer engineering and communication. He was the cofounder of the RT-RK company. His fields of interest are DSP algorithms and architectures, audio and video signal processing, video quality assessment, hw/sw co-design of complex systems on chip, product development in consumer electronics, knowledge management and management of internal and external development networks. Hi is the senior IEEE member and the VDE/ITG member. There is a new generation of Consumer Electronics companies that have identified a market segment for consumers that want to stay healthy and fit. This market segment is growing rapidly for a number of reason. Wearables are fashion items and serve a monitoring function. Wearables can track how active we are; and thus provide an incentive to keep “moving”. These fitness trackers are made for fun and to provide some feedback on how one is tracking with personal fitness goals. They are not intended to be used for healthcare applications. Newer wearables also include functions that track health performance indicators. They can measure blood pressure, or blood glucose levels, or Oxygen levels to mention a few. These devices are not of medical grade, but many healthcare practitioners ask their patents to monitor their health using these devices. Their advantage is that they are low cost, reasonably accurate. Further innovation, the IoT, and low cost mass produced products are now invading the healthcare industry. Remote patient monitoring systems, fall detectors, driver alert systems, are new avenues where these consumer grade devices are intruding in healthcare. This invasion is changing how healthcare practitioners are interacting with their patients. For one there is information overflow, and privacy concerns. Will these devices be abused by thrill-seekers, who are starting to implant them to become Trans humans? Can medical device manufacturers’ justify the high cost of medical grade monitoring system when it can be done cheaper on a smartphone? 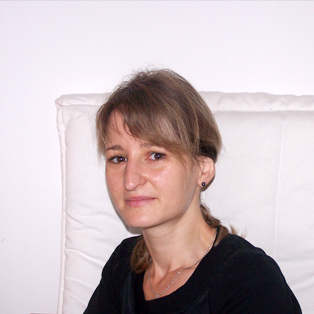 Dr. Margarita Anastassova is a researcher in the Sensory and Ambient Interfaces Laboratory at CEA, LIST in France. She holds a Ph.D. in Psychology and Cognitive Ergonomics from Paris Descartes University. 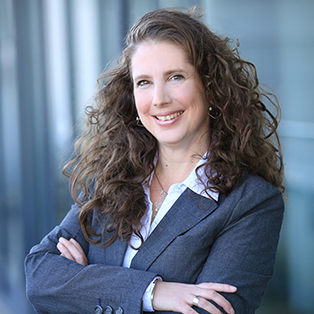 Margarita has over 16 years of experience in the user-centered design of interactive systems. Her main research interests lie in the field of human factors (usability, utility, accessibility) of emerging technologies such as haptic and tactile interfaces, mobile systems, virtual and augmented reality. She is particularly interested in their healthcare applications and has worked in several projects on similar topics. Judging from sensors and cameras I have installed at my home and wear on my body, quite often components of the Internet of Things produce situations that do not agree with the way I would like to or used to conduct my life. These include fitness trackers that are not accurate or responsive enough, warnings issues by my IoT cameras of moving trees or cars in or close to my yard and when lights are turned on or off inside my house. The many warnings I am getting from these IoT components join the unwelcome distractions issued by my cell phones and tablets. I find that these interruptions reduce the productivity of my work and the quality of my life. These distractions are in addition to the benefits I get from these devices (like warnings about the mail delivery person tossing my packages up in the air instead of placing them appropriately). I would thus like to propose evaluating IoT components and systems using both their positive properties (“The Internet of Things”) and their negative properties (“The Internet of Nothing”). Focusing on both scores would lead to a more realistic & balanced view of the systems, pointing out directions for improvement for the benefit of the users and to help reduce the potential of an unrealistic hype. Yes, technology is not above all. People & their needs are. Stefan Mozar spent most of his career in the consumer electronics industry. He worked for companies like Grundig, Philips and NEC. He mainly worked on TV Receivers. He also spent many years in Telecommunications, especially in the area of data transmission. This included designing various data com products such as modems, multiplexers, and digital microwave radios. He is a technology consultant, and Adjunct Professor at Guangdong University of Technology, in South China. He has taught for a number of British, Australian and Asian Universities. He studied engineering at the University of New South Wales, Sydney, Australia; and at Okayama University in Japan. Dr Mozar is a Fellow of the IEEE, and Engineers Australia. His work has led to publications, patents, and has been recognised with many awards. He has worked on projects that won about 30 design awards in various countries around the world. He is the recipient of the 2017 David Robinson Award from Engineers Australia. He is the past president of the IEEE Consumer Electronics Society, and currently chairs the IEEE Life Science Initiative. more and more popular in many security critical domains. can help to bring security into the IoT field. lightweight operating system for the IoT. 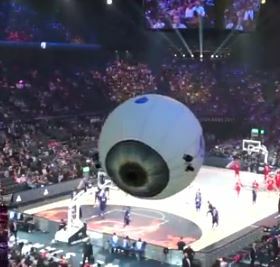 demonstration, and a session of exercises. attendees who may want to go beyond the tutorial material. 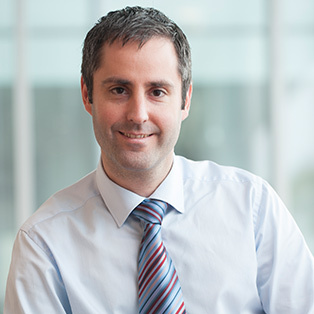 Allan BLANCHARD obtained his PhD in Computer Science from the University of Orleans in 2016. He prepared his PhD at the Software Reliability Laboratory of the CEA LIST. 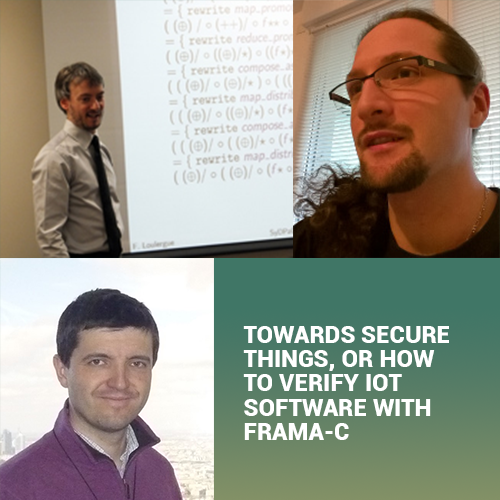 He is interested in the analysis of concurrent code using formal methods and more precisely deductive verification. His current work, in the EU H2020 VESSEDIA project, is to apply formal verification to the Contiki microkernel and its libraries, mostly to show the absence of runtime errors. He mostly uses FRAMA-C with the EVA and WP plugins. He is the author of an online tutorial on deductive verification with FRAMA-C and its WP plugin. Nikolai KOSMATOV got a PhD in Mathematics in 2001 jointly from Saint-Petersburg State University and University of Besanc¸on. Nikolai’s research interests include software verification and testing, constraint solving and combinations of various software verification techniques. Nikolai gives theoretical courses and exercise sessions on software verification and testing since 2009. He is the main author of the online testing service pathcrawler-online.com. Nikolai co-organized several successful tutorials at various international events, e.g. TAP, TAROT, ASE, QSIC, iFM, SAC, RV. Marne in 2004. He is currently a full professor at Northern Arizona University, Flagstaff, USA. His research interest are the practical and formal aspects of the design, implementation and application, in particular to large-scale data-intensive software, of structured parallel programming languages and libraries, as well as applied formal methods and cyber security in this broad context. 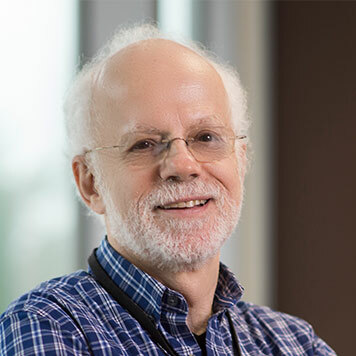 Software associated to his research work include Bulk Synchronous Parallel ML (BSML) and the SYDPACC framework for the systematic development of programs for scalable computing. The industry has started to embrace artificial intelligence (AI) as a technology to build new generations of products and services. AI enables radically new business models and has the potential to disrupt how we are building systems today. In this talk, we show how AI systems are being built today and what the enablers and hurdles are to bring this new technology into widespread use by industry. 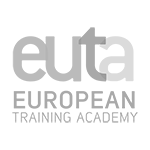 The talk offers pointers to get started in the construction of AI systems and involved as a member of the European AI community. Samuel Fricker, Ph.D., is a professor of software engineering and deputy head of the Institute for Interactive Technologies at FHNW. Samuel leads the work in the Horizon2020 project www.bonseyes.com for building a marketplace for artificial intelligence and is a member of the Horizon2020 project www.wise-iot.eu, which aims at demonstrating how to build global Internet of Things systems. Dr. Saraju P. Mohanty is a Professor at the Department of Computer Science and Engineering (CSE), University of North Texas (UNT). He obtained a Ph.D. in Computer Engineering from the University of South Florida (USF) in 2003, a Master’s degree in Systems Science and Automation (SSA) from the Indian Institute of Science (IISc), Bangalore, India in 1999. Prof. Mohanty was conferred the Glorious India Award in 2017 for his exemplary contributions to the discipline. He was the recipient of 2016 PROSE Award for best Textbook in Physical Sciences & Mathematics from the Association of American Publishers for his Mixed-Signal System book. He received 2016-17 UNT Toulouse Scholars Award for sustained excellent scholarly and teaching achievements. He has received 4 best paper awards. Prof. Mohanty’s research is in “Smart Electronic Systems”. Prof. Mohanty’s research has been funded by National Science Foundation (NSF), Semiconductor Research Corporation (SRC), and USA Air Force. Prof. Mohanty is an author of 250 articles and 3 books, and inventor of 4 granted patents with Google Scholar h-index of 29. 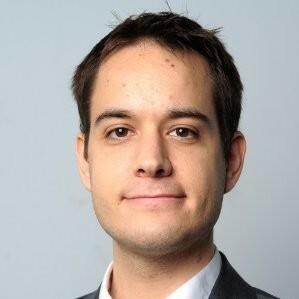 He serves as the Editor-in-Chief (EiC) of the IEEE Consumer Electronics Magazine. 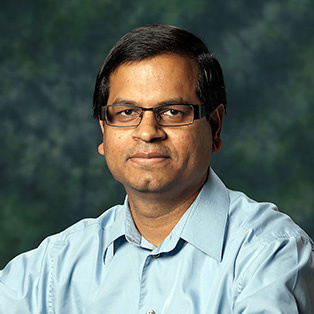 Prof. Mohanty has been serving on the editorial board of several journals or transactions, including IEEE Transactions on Computer-Aided Design of Integrated Circuits and Systems (TCAD) and ACM Journal on Emerging Technologies in Computing Systems (JETC). Prof. Mohanty serves as the Chair of Technical Committee on Very Large Scale Integration (TCVLSI), IEEE Computer Society (IEEE-CS). He serves on the steering, organizing, and program committees of several international IEEE conferences including ISVLSI, iNIS, and ICCE. Prof. Mohanty is the Conference Chair of ICCE 2018, the flagship Conference of IEEE CE Society, which is co-located with International Consumer Electronics Show (CES). More about his biography, research, education, and outreach activities can be obtained from his website: http://www.smohanty.org. Automated driving needs a novel approach to cope with driving scenarios that are currently solved only by the driver’s control. The reasons for the driver to take over control vary from limitations of the range of ego sensors or recognition algorithms to required information, e.g. infrastructure information like traffic lights, that cannot be derived from in-vehicle sensor observations. What all have in common is that any reaction, from the driver as well as from a driver assistance feature, needs to be in time. This becomes clear when looking at the range of ego sensors (e.g. LiDAR sensors about 40m ahead). The driver may want to have the speed reduced in advance before a speed sign is reached or be warned in time to take over control if the autonomous driving road ends. It is crystal clear that it needs more than just a high quality in-vehicle sensor processing in order to obtain a wide range of HD information needed for automated driving. To make vehicles react properly in these kinds of situations the classic embedded software development needs support by self-learning algorithms. Our approach combines techniques well established in robotics like Simultaneous Localization And Mapping (SLAM) as well as end-to-end protection and image compression algorithms with big data technology used in a connected car context. This allows to extend the sensor range as well as the sensor availability of a single vehicle. 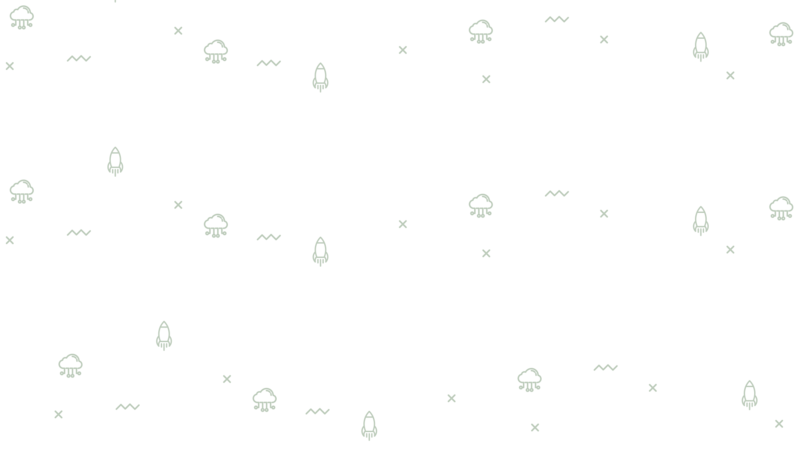 For behavior perception another well-established technique in automatic recognition scenarios enters the game: deep neural networks (DNNs). Although DNNs rely on training data in detection situations, they perform much faster as traditional software. The more samples and the more iterations the DNN gets, the better accuracy is obtained in all classification and detection situations. 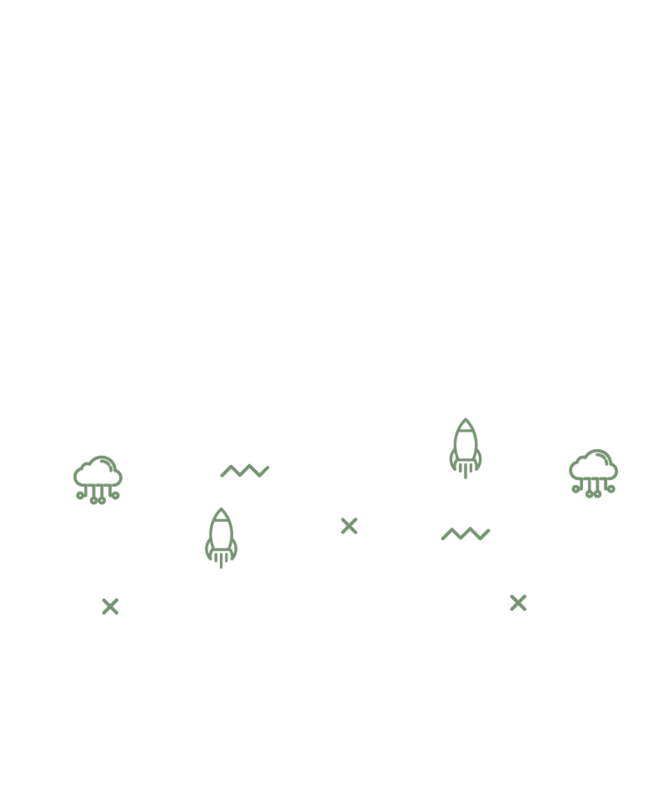 DNNs also become a good alternative to validate functional safety as well as the safety of the intended functionality. The keynote speech will analyze the different approaches and scenarios of using SLAM and DNN algorithms in automated driving and will give an impression how embedded software development for automated driving benefits from robotics and neural networks.